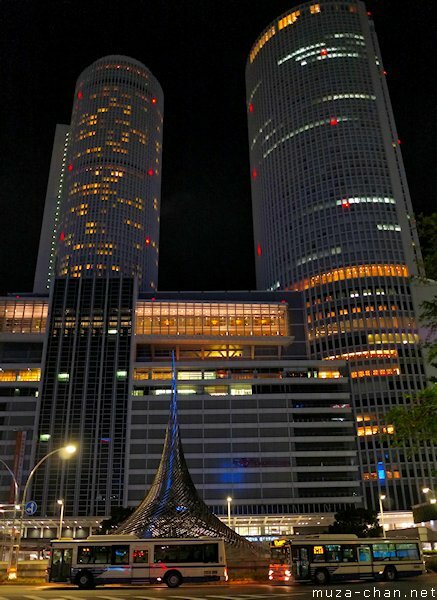 The area surrounding the spectacular Nagoya Station is one of the most beautiful modern squares from Japan, with two elegant skyscrapers, the JR Central Towers and the Midland Square, plus the graceful 20-meters-tall stainless steel pipe monument. Built in 1989, the monument was made to celebrate 100 years since Nagoya was proclaimed a city and its design integrates old and new elements, inspired by the decorations found on the oldest Jomon period ceramics (14,000 - 400 BC). Actually Jomon means “cord marks” and it refers to these decorations, made with twisted cords wrapped around the vases while the ceramic is still soft.